Robert Kovacik reports the news from West Los Angeles as a roach takes a sprint around his shoulders. *If you’re squeamish about things like bugs, this is not the story for you. In fact, if you don’t like cockroaches or insects of any kind, this isn’t for you. For a lot of us, the video will make your skin crawl. And it’s weird to watch because you wonder, “How does he not know? 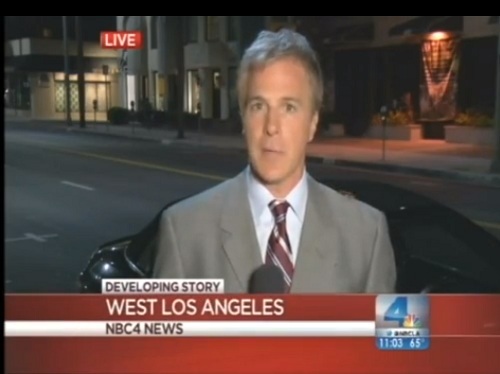 !” NBC4 reporter Robert Kovacik was in West Los Angeles, reporting on a Charles Manson development when all of a sudden a huge cockroach scurries up his arm and dashes around his shoulders trying to be seen on the evening news.